Things are shaping up pretty good! When I was originally thinking about this trip I had high expectations to travel to MANY different countries in Europe. Reality has finally set in and I've realized I won't be able to travel to as many countries as I originally wanted to. I have received invitations to a few different gyms within the same country and I will have to pick and choose where I go train within each country. The countries in question are mainly the U.K., Estonia, and the Netherlands. In terms of Western Europe, I believe I have enough places to visit. I do still need to find a gym in Italy as I plan on going there to compete in the IBJJF Rome International Open. Planning wise, I'm attempting to fit the Western half of Europe in the first three weeks of travel and Eastern/Northern Europe in the last three weeks of travel. I may have to may some adjustments and circle back up through the middle Western/Eastern parts before hitting the far east of the area, and then head up North to finish things out. Since the last update I have added in Germany, Switzerland, and Hungary. All places I was really hoping to make contacts in. Cities and Countries highlighted in green are highly probable. Cities/Countries in yellow have a lower probability and will be subject to further planning. Still looking for more locations! It was pretty hectic last month, with the holidays looming and lots of work to do at both work and home. Unfortunately I was not able to train much last month due to the fungus and injury from deadlifting. But, everything is good to go. My apologies. My friend from Riga informed me that the wedding won't take place until August, which will free me up to plan around other things. My new plan is to hit the IBJJF Rome Open while out in Europe. Not a bad list, but I'd like to add some more countries in the South and the East of the continent. I'm not looking for any more gyms in and around the UK or Ireland, as I'd like to explore as many places as possible during my time there. 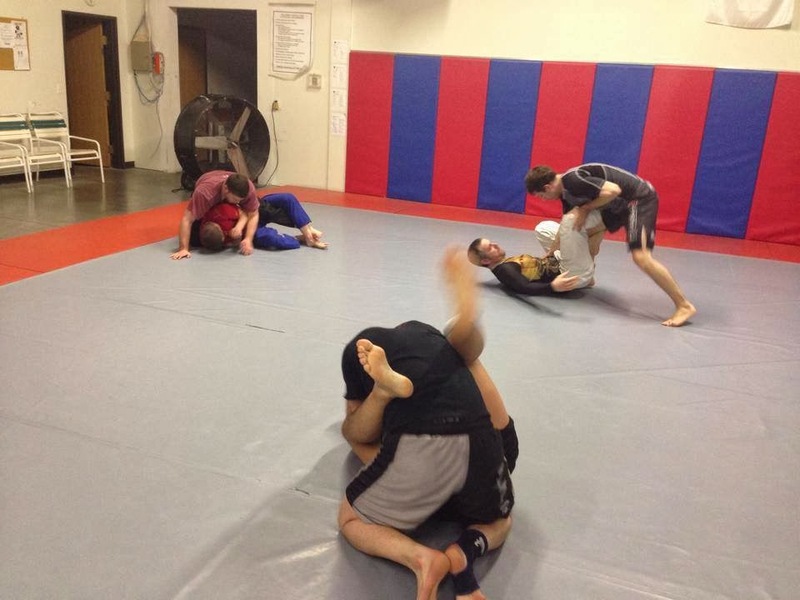 In other news, our gym had a Happy New Years open mat last night to start 2014 off right.It felt great getting back onto the mat after a bit over a month being off it (and getting fat and lazy). We had a visiting Brown, a couple of purples, a bunch of seasoned blues, and a white belt on the mat. My first roll of the night was with one of our more seasoned and older purples (and bigger). When this gentleman is in the top position, you're not going anywhere. I tend to try to keep the top position as much as possible by using speed and my lankiness to my advantage. During the roll I managed to grab top position and work into side control and pretty much halt all of his escape attempts. For me, keeping a larger opponent on their back from side control typically isn't a huge issue, it's keeping mount. And that's exactly what I went for. Now, I'm 200#, our "Big Purple" is somewhere around 300#, when he shrimps from mount you're moving with him (my knees don't even touch the floor). I've learned to kind of body surf some of our bigger blues with pretty good effectiveness by keeping my heels on their hips and smothering/smashing with my upper body, also maintaining base with my arms. Big Purple is a bit to explosive for that, I felt myself almost swept a few times, I was in danger. My initial thoughts were to posture up from his mount and attempt to capture one of his arms for an armbar. That failed, and I knew he was coming to smother me. My next line of offense and defence was to block his hip with one leg and shoot for the triangle from failed armbar. I felt pretty confident going into the execution only to have my confidence shattered by having Big Purple grab a hold of my legs and rag doll me out of position. My thoughts at this point were "DEFENSE DEFENSE TURTLE", and then the bell rang. It was a good night over all, lots of good strong rolls all around.